Basically, all I know is how to do my makeup everyday. The kind of technique that I do is simple and easy. I love makeups so much but I admit that I still have a lot of learning to do and that is why learning a new technique should never stop. Until today, I am still saving up so that I could enroll myself in a professional makeup school. (My dream to be a makeup artist is not a secret. ^_^) Sadly, it is always being postponed, either lack of budget or I have more things to spend to that needs to be prioritized. With all of my expenses in preparation for my NCLEX, well let us say that makeup school is not a priority right now. Until then, I will happily sign-up and attend makeup workshops instead. Back to the topic, what do we know about Photography Makeup? It is the kind of makeup that you do if you know that you will be exposed to camera shots and lighting a lot. Before the workshop, I thought that all kinds of makeup styles are the same whether for everyday, events or photo shoots but surprisingly each kind of event pertains to a different kind of makeup styles! I love the space that Ms. Nikki chose for the workshop. It is spacious, well lighted, and closer to my home compared to Makati or BGC that I usually go to. Whenever I attend makeup workshops, I always sit in the middle or in front. I want to get the best view and make sure I get all the tips and techniques being discussed. Attending Ms. Nikki's workshop was fun and worth it because she jokes in between her lessons plus she can deliver exactly what she wanted us to learn. I learned a lot and I realized that what I usually do are still wrong. Thanks to this workshop, I can now correct my mistakes. I was able to meet my seatmate, Rhio during the event. I do not have a photo of Marjorie of livingmarjorney.com but I was with her during the workshop too. 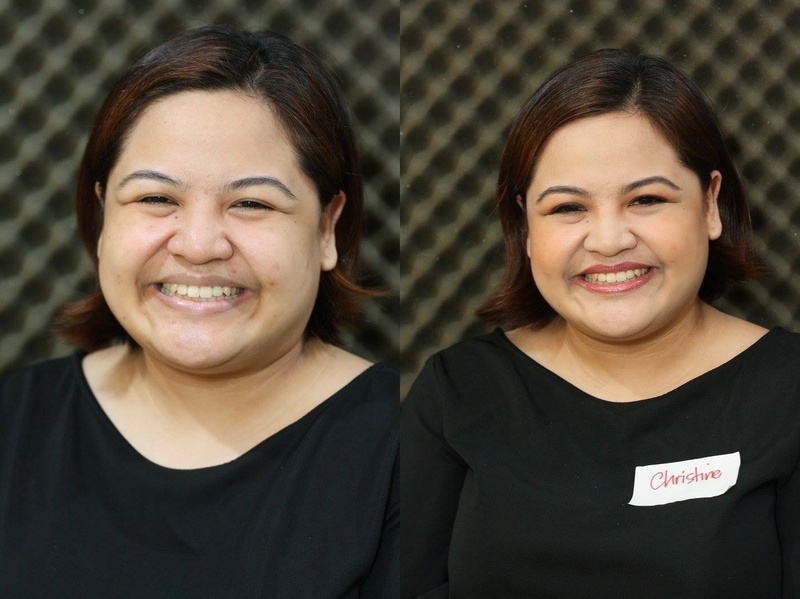 Since it is a Photography Makeup Workshop, Mr. AMW took our before and after photos. Yay! 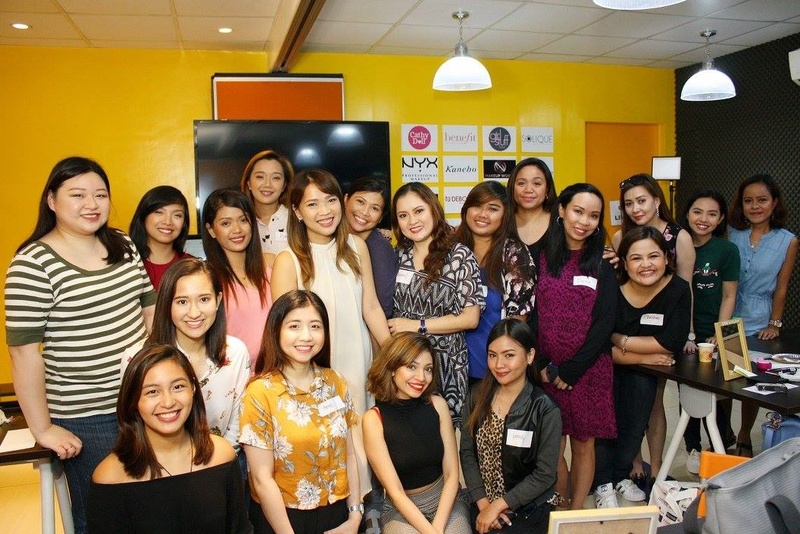 Attending Ms. Nikki's workshop is so worth it. I definitely recommend it so watch out for her future workshops! You can check out her website for updates at http://www.askmewhats.com/. Yay! Workshop done with certificate! 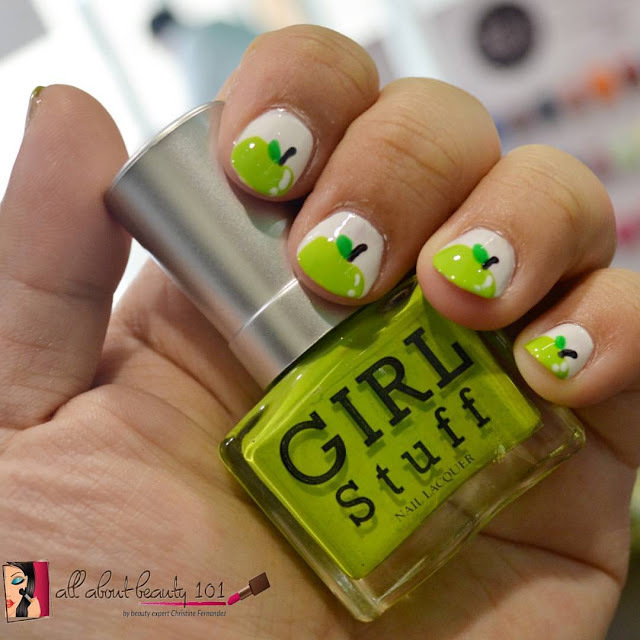 Before I forget, besides the informative workshop, there is also a nail art service by Girl Stuff for free! I first tried this brand from Sample Room and ever since then, I love their high quality nail polishes. For only 2,800php, you can learn a lot from Ms. Nikki's makeup workshop, enjoy food and chat with fellow beauty enthusiasts, get amazing customized loot bag full of full-size freebies! If you are a starter, you can get all the basics from the loot bag provided by Ms. Nikki. Yay! 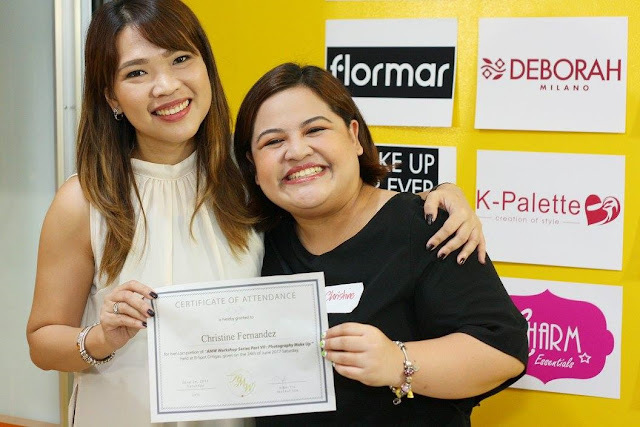 Thank you so much Ms. Nikki for all the tips and information that you shared and thank you to all of her sponsors for making the workshop more fun!